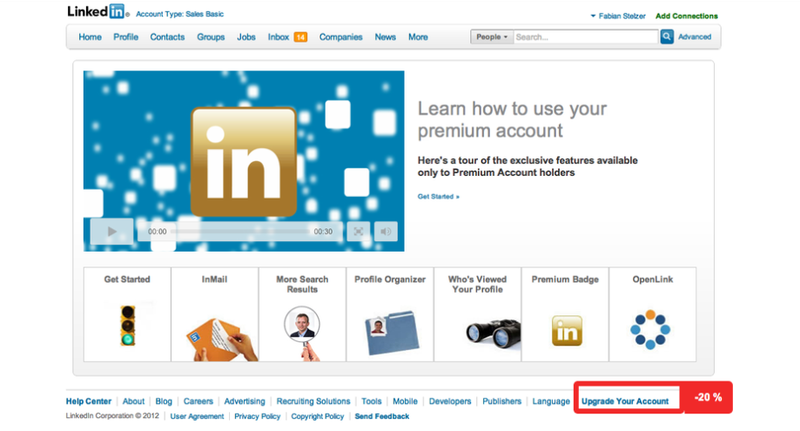 How to effectively hide your Call to Action #1: LinkedIn Upgrades. 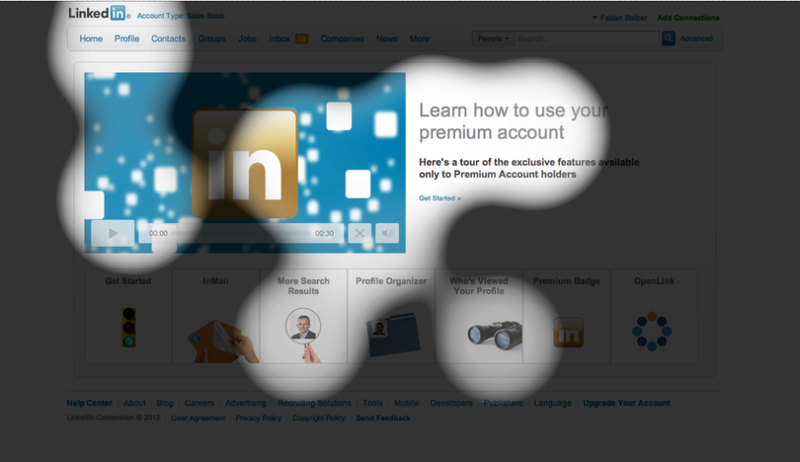 Hint: it's that link in the lower right corner. Yes, that link. And while it's nice to get an overview of our current features, all we really want right now is another upgrade! 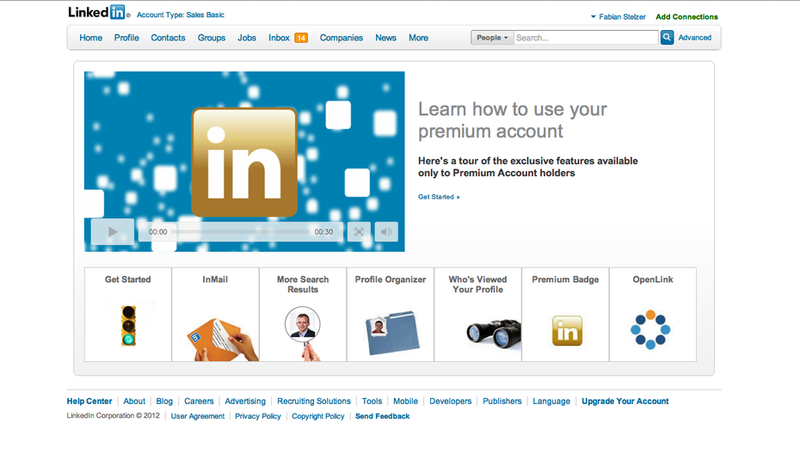 Now, LinkedIn users aren't exactly in a position to just switch to another provider - which they probably would if this was a typical eCommerce scenario! If you're curious how visible your call to action buttons are, head over to EyeQuant and get a full attention analysis of your website or landing page for free.